« Polls: A “none of the above” election? Predictably, the Times slams Trump for a refusal to wade through policy books or practice mock debates. Hillary, though, is disciplined, studious and advice-seeking. They conclude that Trump’s hot buttons are: his intellect, his net worth and his image as a successful businessman. So, how can Trump possibly win a debate against her? (1) Don’t explode … sounds easy, but it’s in his DNA. My suggestion: get a couple of insult comedians (think, Don Rickles – if he’s still alive) to dish it out in a debate prep session. My not prevent, but will prepare. (2) STFU … make points then shut-up – even if that leaves time on the clock. It’s the 5th and 6th sentences that usually get Trump in trouble – not the 1st or the 2nd. (3) Be ready with tested 1-liners … you know, like the Reagan “There you go again” line … or, Christie’s “robot” line that buried Rubio in the GOP debates. If his intellect is challenged … a simple “I wasn’t the one who flunked the DC bar exam” would work nicely. How about: “My buildings weren’t funded by tyrannical dictators”. Trump will never win a geeky policy debate. But, he can deliver a classic 1-liner. And, that’s something that can’t be left to chance. Hillary will enlist the best liberal comic: Jon Stewart to help her. But she won’t be able to deliver the line … it’ll sound scripted and be out of character. Trump can land the punch … but will want to wing it. My advice: Solicit the best conservative comic in the business – Dennis Miller. That guy cuts to the core … and is damn funny. This entry was posted on August 31, 2016 at 6:59 am and is filed under 2016 Presidential Election, Clinton, Hillary, Debates, Trump, Donald. You can follow any responses to this entry through the RSS 2.0 feed. You can leave a response, or trackback from your own site. Osama bin Laden is dead and Don Rickles is alive! Not sure about GM, it is more like a zombie. GM trading below IPO price, a “success story” in destroying value. I find it hard to believe this debate will be like any other…mostly because I will probably watch. People would be so shocked at her profanity and her presumably reaching the end of her patience with Trump’s misuse of facts, that her “BS” statement would then dominate the media coverage for not only that debate but subsequent debates. 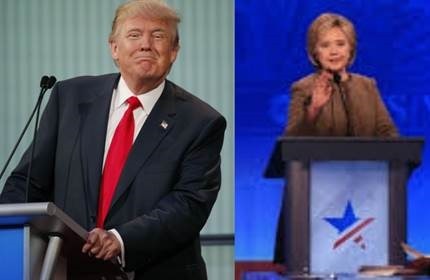 It has the advantages not only of pointing out Trump’s multiple untruths and of being the most quotable line of the debate, but, it will make Hillary look a little human….a real miracle. With any luck at all Trump’s façade of control evaporates and he continues down the stupid path. And I know that Hillary also plays fast and loose with the truth, telling outright falsehoods also when she feels the urge. My suggestion has nothing to do with getting the truth out. It has more to do with how you dominate the media coverage when debating someone even more egomaniacal than you. I write not as Rabbi for Trump but as a debate coach and professor of public speaking for over 40 years at top universities . Mr. TRUMP needs to do more research and to practice. This is about influencing the non-committed voters and especially the millennials and yes the women. You will say Trump is Trump and that is what we like about him. True but that will not get him elected. If he loses we lose. . Stop blaming the moderator even though he was not fair and we know it. Forget about creating conspiracy theories. Mr. TRUMP you lost the debate last night but you can win the next ones. You had her on the ropes for the first 30 minutes and then you fell for her setting you up with statements that hurt you ego. Mr. Trump she is a liar. Show it and prove it. She has done nothing to change things in 30 years, keep repeating it. Her smile is fake and her little dance at the end was rehearsed. Many of her lines were rehearsed, you must do the same. Rehearse and prepare. Telling people you do not pay taxes because you are smart irritates those of us out of work and those with three jobs paying taxes. Belittling women is a bad idea. Perhaps she cheated and had notes and other devices, next time show no mercy, attack her lies. People will forget this debate if you do well on the other two. Someone get this message to him. If any one is upset at me for this remember I speak as a communication specialists and I am pro-Trump all the way…….